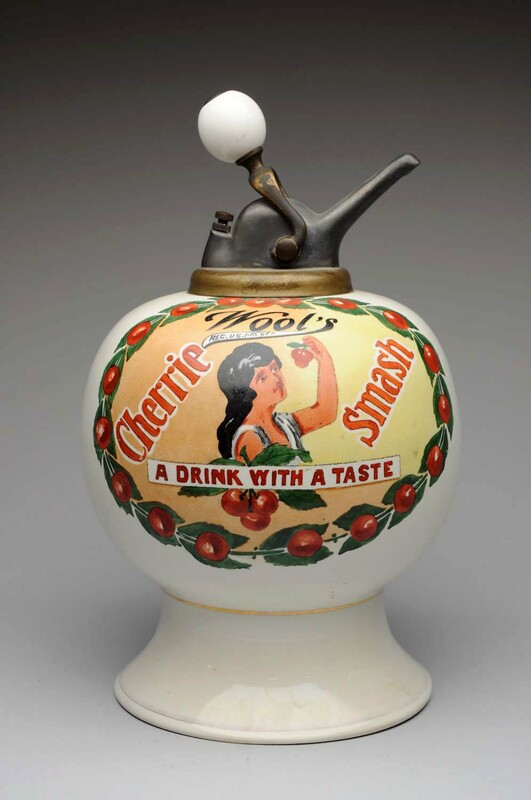 DENVER, Pa. – Morphy Auctions will present 839 lots of antique advertising in its March 28th specialty auction. All forms of bidding will be available, including absentee or live online via Morphy Live. 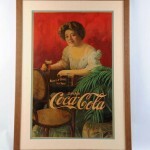 Among the main categories are Coca-Cola and soda pop signs and other advertising, rare tobacco tins and petroliana. A featured highlight is the selection of high-end soda fountain syrup dispensers, led by Lot 451, an Earl Hires platter with matching bowl that supports a nicely decorated globe-shape dispenser. The suite is marked “Mettlach,” referring to a city in Germany where Villeroy & Boch porcelain was produced. Offered together with three early, tall mugs with an identical motif, the set is believed to be the only known example. “We think the set originally might have been loaned to a successful soda fountain operator. We don’t think it’s a type of item that was ever produced commercially,” said Dan Morphy, president and founder of Morphy Auctions. The lot estimate is $75,000-$125,000. 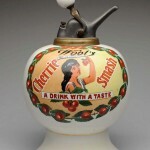 Another stunning antique syrup dispenser is Lot 493, produced for Wool’s Cherrie Smash. Decorated with appealing graphics in bold colors, this may also be a sole survivor. In excellent-plus to near-mint condition, it is expected to reach $40,000-$60,000 on auction day. Lot 515, a circa-1900 Pepsi-Cola ceramic syrup urn with gorgeous Art Nouveau decoration, stands 18 inches high and is estimated at $30,000-$50,000. No soda pop collection would be complete without representation of the king of soft drinks, Coca-Cola. 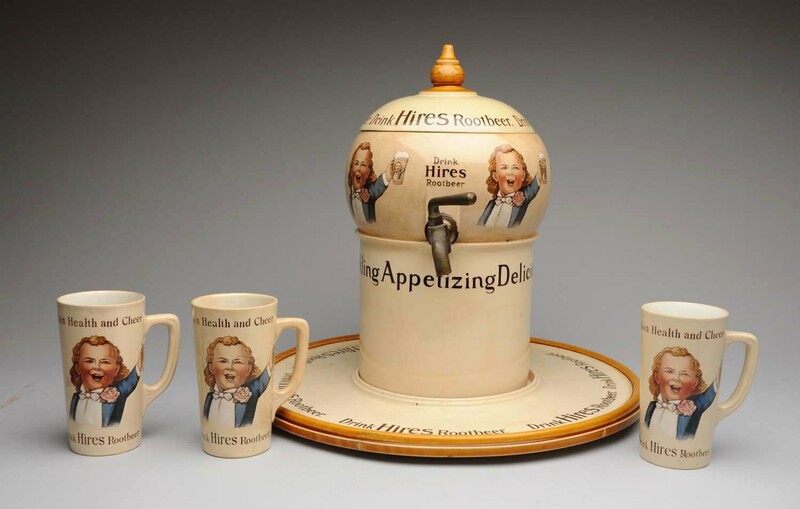 Morphy’s is known for its record-setting prices achieved from the sale of Coke advertising, but collectors can find beautiful examples at all price points. 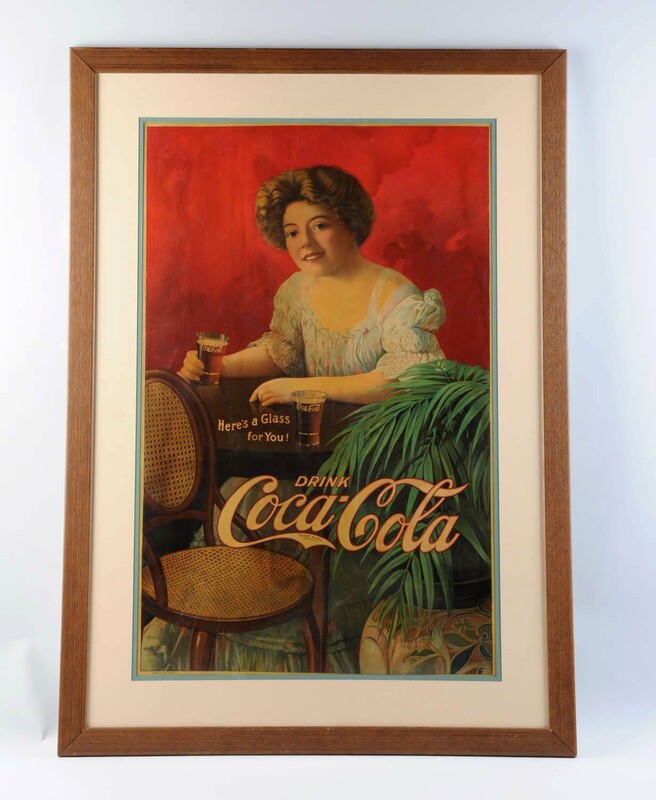 An especially nice choice for the mid-range collector is Lot 278, a 1909 Coca-Cola cardboard poster. Featuring a model holding a glass of Coke, the rare and impressively sized poster is 55½ inches long and is estimated at $6,000-$12,000. A classic in the soda-pop collecting world is Lot 376, a 1910 Allens Red Tame Cherry Red cut-out sign with metal easel support. Heavily embossed to render depth, this great-looking sign depicts a young girl and boy enjoying their beverages at a table emblazoned: “Drink Allens Red Tame Cherry and you’ll smile too.” Estimate: $800-$1,400. Vibrant and appealing, a curved porcelain sign advertising Red-Top Flour shows a young boy dressed in knickerbockers, jacket and cap, climbing over a fence. In excellent-plus condition, it measures 22 by 16 inches and is estimated at $10,000-$20,000. 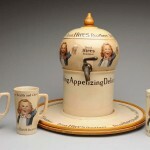 Morphy’s Saturday, March 28, 2015 auction will be held at the company’s gallery at 2000 N. Reading Rd., Denver, PA 17517. All forms of bidding will be available, including live via the Internet through Morphy Live, LiveAuctioneers and Proxibid. Start time is 9 a.m. Eastern. Preview the entire auction inventory daily from 9 a.m. to 4 p.m., or from 8-9 a.m. on auction day, prior to the start of the sale. For additional information on any item or to reserve a phone line for live bidding on auction day, call 717-335-3435 or email info@morphyauctions.com. Visit Morphy Auctions online at www.morphyauctions.com.